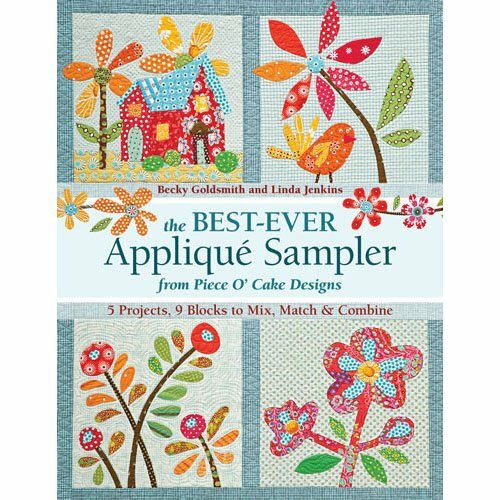 This book will teach you how to appliqué the Piece O’Cake way. It is a comprehensive guide where you will find everything you need to know about hand appliqué. The written instructions are clear and complete. The photos are up-close and informative. The 9 full-size block patterns (and 2 borders!) are cute and versatile. 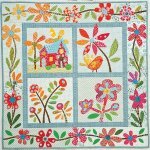 Use them to make charming small quilts that be grouped together or used separately OR mix-and-match the blocks to make a variety of samplers. We hope you use your imagination and combine the blocks in more ways than we could imagine. Click here to see the additional quilts in this book. This book is written for those quilters who are so new they've never hand-sewn before as well as for experienced appliquers. Basic stitches are shown for both right- and left-handers.